Samsung Galaxy Nexus smartphone hit by volume bugs | What Hi-Fi? Google and Samsung admit flagship Android handset has volume issues, will offer a repair "as soon as possible"
Samsung has admitted that its new flagship smartphone, the Galaxy Nexus – which went on sale in the UK on November 17th – is suffering from volume bugs. It follows owners' complaints in the internet about unexplained changes in volume. 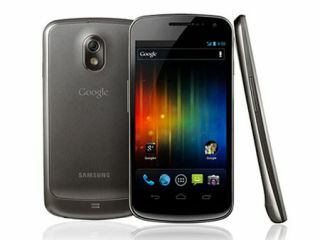 The handset is the first to use Google's Android Ice Cream Sandwich/Android 4.0 operating system. Samsung says it is aware of the problem and will offer a repair, but does not say when. "Regarding the Galaxy Nexus, we are aware of the volume issue and have developed a fix," Samsung says in a statement. "We will update devices as soon as possible." Google has also confirmed that the problem exists and has issued an identical message. We'll have a full review of the Galaxy Nexus in the January 2012 issue of What Hi-Fi? Sound and Vision, on sale from December 14th.